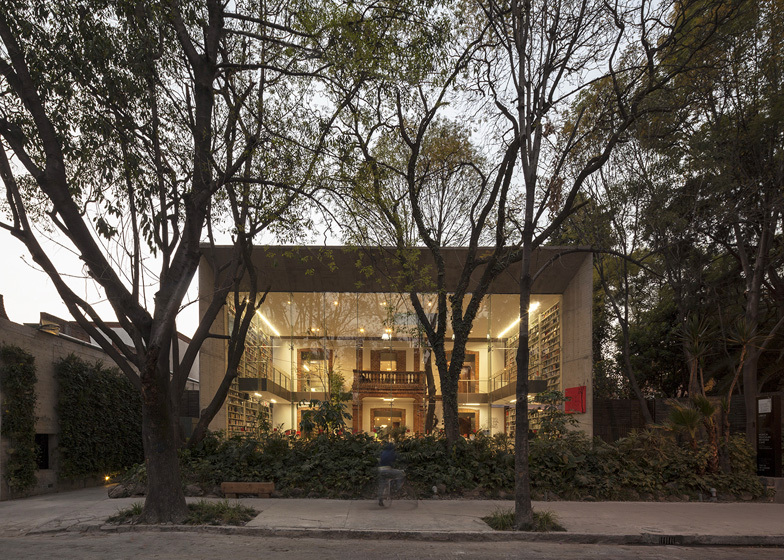 Mexican architects Fernanda Canales and Arquitectura 911sc have wrapped a concrete and glass frame around the front of an old house in Mexico City to convert the building into a library (+ slideshow). 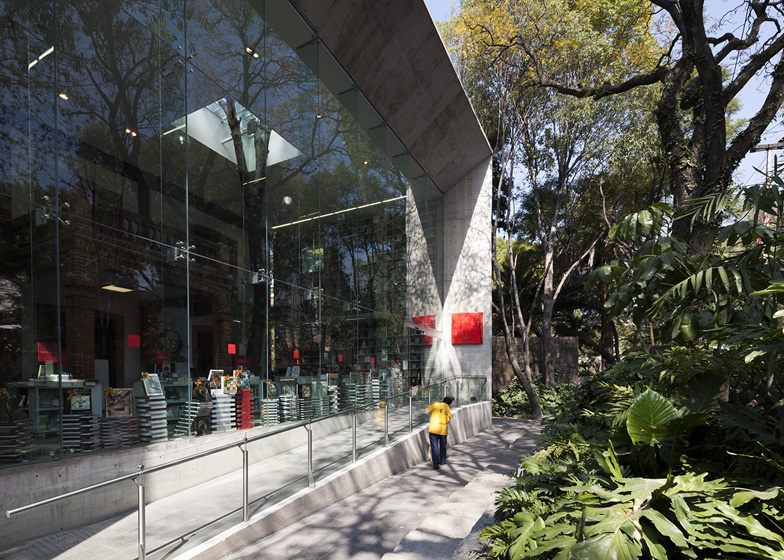 The Elena Garro Cultural Centre is a two-storey library in Coyoacán, south of the city. The rectangular concrete volume extends from the brick and plaster facade of the early twentieth-century house, doubling the floorspace inside the property and creating a new entrance. The front elevation is fully glazed and integrates a system of vertical louvres, which rotate to allow ventilation through the building during its opening hours. A double-height foyer sits behind the new facade, which Fernanda Canales and Saidee Springall of Arquitectura 911sc imagined as an indoor courtyard overlooked by the balconies and windows of the original building. Trees continue to grow up through the centre of the room and one emerges through a large skylight. 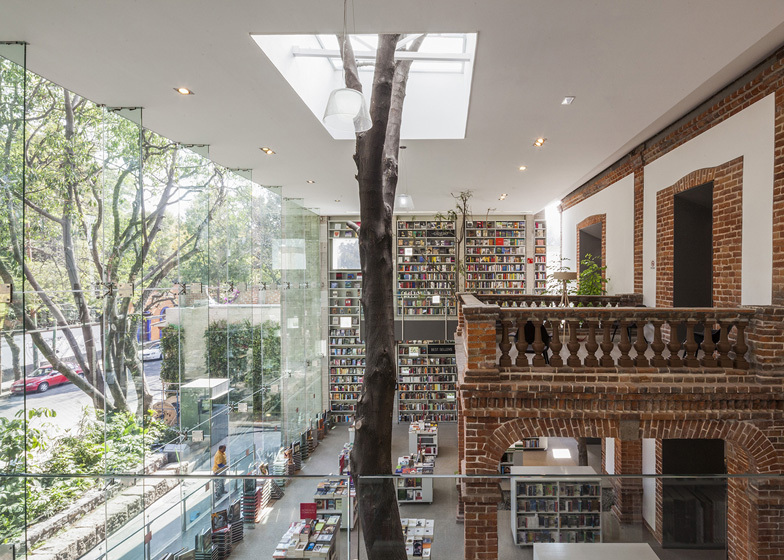 "The project is the idea of highlighting the existing house and making an 'open' library space," explains Arquitectura 911sc. "Thus, a transparent block 'draws' books forward into the street and at the same time incorporates trees inside." The first floor of the old building is replaced, creating a mezzanine of reading rooms and balconies. A multi-purpose room and storerooms are also contained within the old building, while parking areas are located in the basement. Doors at the back of the building lead out to a courtyard and cafe. 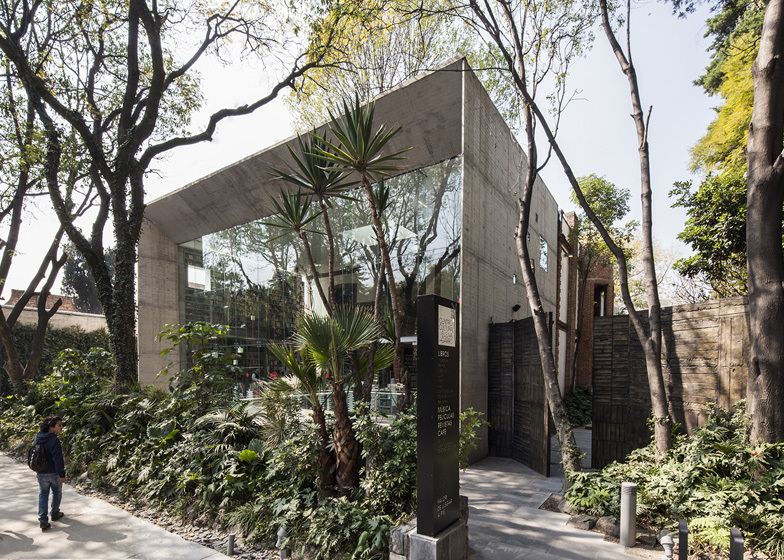 Another recent project by Fernanda Canales is a concrete house in Mexico City. See more architecture in Mexico. 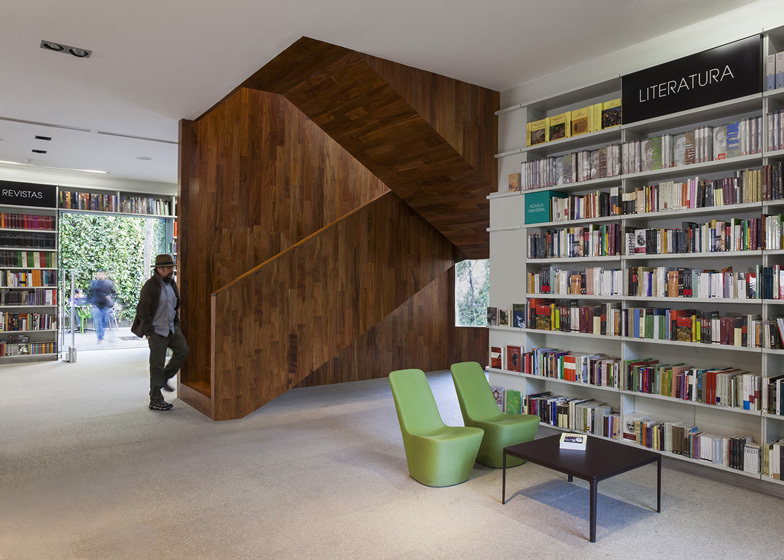 See more libraries on Dezeen, including one controlled by robots and one lined with walnut. 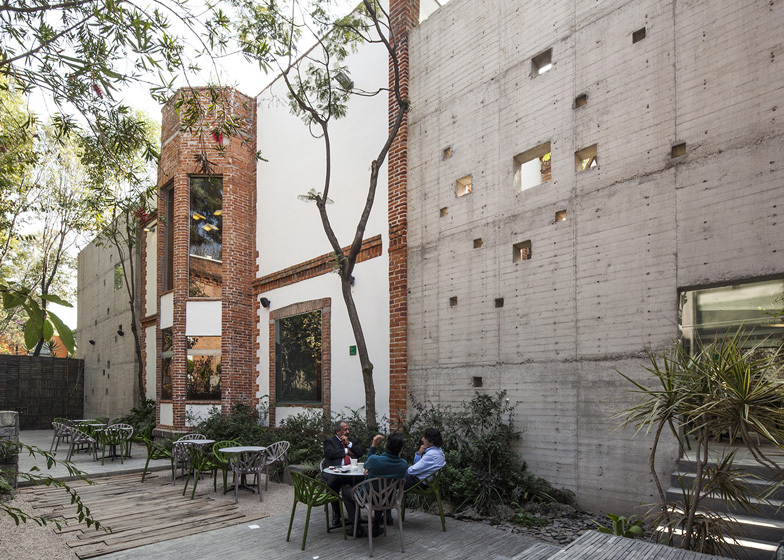 The project, located in Coyoacán, is an adaptation of an existing house, a listed building from early-20th century, which was transformed into a cultural centre on Fernández Leal Street. The need to preserve the existing property led to the decision that the project would highlight the new uses and, at the same time, respect the original shell. Thus, the project consists of several elements that define the intervention: a first part which marks the entrance, a kind of frame, linking the building with the street and highlighting the existing house; secondly, a series of gardens and courtyards surrounding the project and inserted inside; and, finally, a rectangular volume at the back of the site, developed on three levels, consisting of a multi-purpose room, storerooms, and parking lots on ground floor. These pieces mark the different paths and manage to bind all the parts of the project. 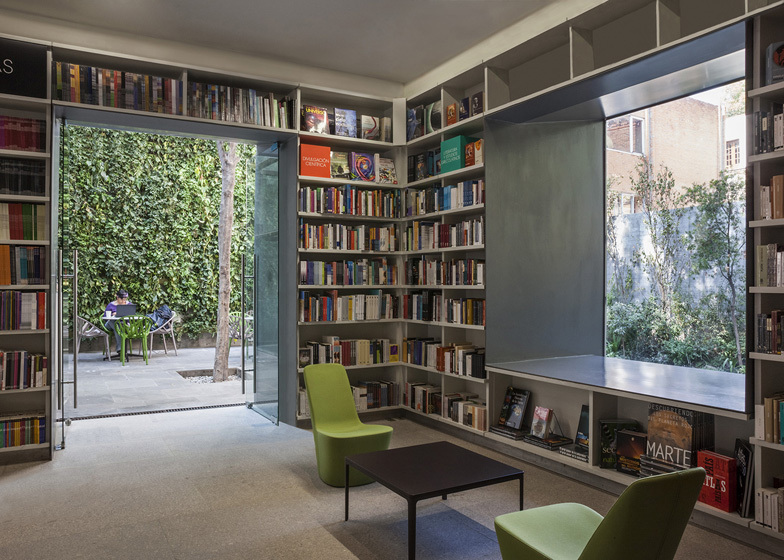 The first element, which extends from the street by means of the pavement, frames the existing house, highlighting the central access porch and leading into the library, composed of double heights and perforations for natural light to enter. 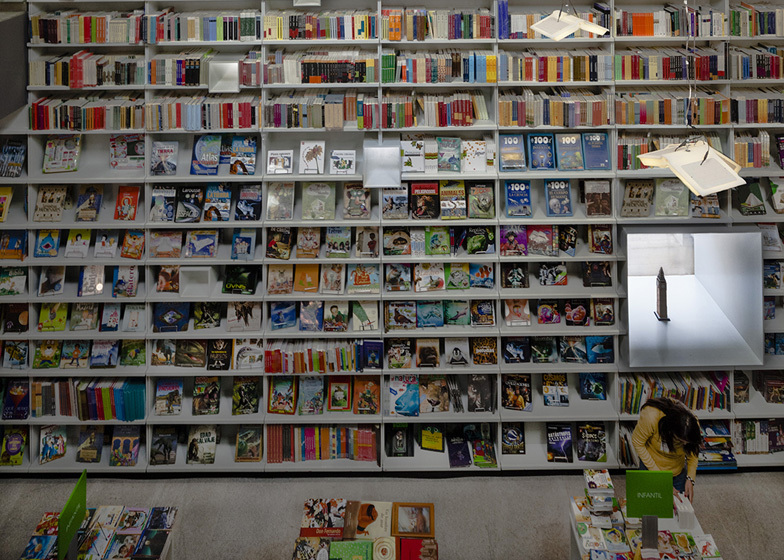 The old house becomes the central space, dedicated to the library, which is visible from the street, as a large and public space. By means of a ladder which resembles the original one, the visitor is taken to the top floor of the library. 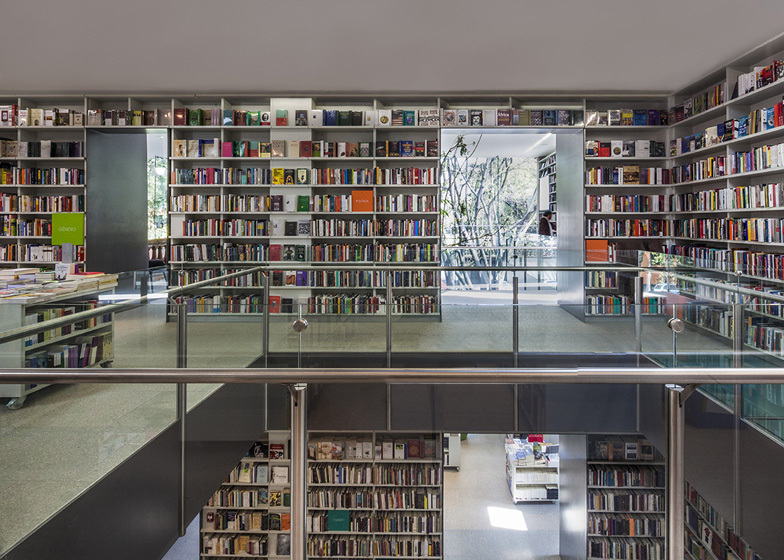 All three volumes are connected together on the first level through the library, with a ladder to the bottom of the rear volume that connects the different levels and also gives access from the parking lot. This staircase also leads to a terrace on the roof plant. By means of the aisle inside the library, the project is connected to the new volume to the back of the property. The connection of the two bodies is built around a sequence of full and empty, with a courtyard and an elevator handled as transparent box, as the centerpiece of the joint. This small courtyard, a small cafeteria, evidences the "bridge" connecting the two volumes. The entire project is seen as a separate part of the existing house and can allow at all times a reversible intervention if necessary. Using materials such as volcanic stone on the exteriors, as well as tzalam wood and gray granite on the indoors, the whole complex is integrated.